I apologize for the delay of this post. It seems planning and preparing for my daughter's third birthday derailed everything else I needed to get done! Anyway, I hope you'll forgive me. On with the topic! Big Hairy Audacious Goals. We talked about this a couple months ago in one of my Writing Popular Fiction class chats. Sometimes, it's hard to find the time and drive to write, and we need to trick ourselves into pushing on, continuing with our writing goals. This is where the Big Hairy Audacious Goal (BHAG) comes in. What you do is think of your one big dream when it comes to writing. No, don't just think, "I want to be published", or "I want people to buy my book". Think bigger and more specific. Pick a dream that may be far out of reach, even one that you may only be able to admit to yourself (we all have those things we'd be too embarrassed to admit to other people). Something like: "I want to have a book on the New York Times Bestseller List!" Then imagine it comes true. Don't tell me that's too hard, either. I mean, we're writers, we imagine things everyday, writing those imaginings down in long (or short) stories. Close your eyes and really see your BHAG coming true. The power of positive thinking a bit difficult to accept and wrap your head around? For some it is, and I struggle with it as well. It can be hard to think positively when there are so many hurdles to jump over when it comes to starting a writing career. If you have a hard time with the BHAG, try taking things one small step at a time. What do you need to accomplish this week, today, or even this hour? Break things down, make a small list if you have to, then start working your way down that list. Maybe after some time, the BHAG won't be as daunting. What's my BHAG? My ultimate one is really hard to admit to myself, let alone others. OK, OK - since you are all such loyal readers, I'll reveal a bit of my soul. My BHAG is to be able to show the people throughout my life that have told me I couldn't do it, that didn't think my writing (or the SF/F/H genre in general) is worth anything, that I can do it. I want to have the proof in my hands (and maybe, just maybe rub it in their faces a tiny bit *blushes*). Enough about me. What's your Big Hairy Audacious Goal? Note: Much of what I talked about in this post was mentioned in a discussion led by Lee McClain. NEXT UP: A look at The Eyre Affair. SPOILER ALERT! If you have not read Down and Out in the Magic Kingdom there are spoilers in this essay. When I first started reading Down and Out in the Magic Kingdom, it reminded me a lot of A Clockwork Orange, with all of the new terms of this futuristic world thrown at me--Whuffie, deadheading, ad-hocs. It took some time to get used to this world, but once I did it was an enjoyable read. The odd, new terms and the imaginings of this type of future didn't overtake the novel, but aided in this truly character-driven story. Money no longer exists, and it's Whuffie that people earn and spend. Whuffie can't be earned with a normal job, but through social interactions, popularity, and respect. "By measuring the thing that money really represented--your personal capital with your friends and neighbors--you more accurately gauged your success" (14). In essence, it's your social standing that earns someone the good life in this future world--one that can plummet with the simple acts of sabotage or murder. Oh, and if you're murdered, they'll just regrow a clone and download all of your memories back into a new body, as long as you've made a back up. In a society where you can no longer die, it's your actions that pay your way through life (or lives). Whuffie makes the world turn. And it's no different for our main character, Julius. He pings Dan's Whuffie, much higher than his own, the first time they meet. Once in Disney World, another attempt to reinvent himself, he grows his Whuffie by helping his new girlfriend, Lil, by maintaining and improving the rides and demonstrations. Dan shows up with all of his Whuffie gone, in need of help. When Julius brings Dan home, Lil's reaction also demonstrates Julius's perception of Whuffie. "I knew she was pinging his Whuffie and I caught her look of surprised disapproval. Us oldsters who pre-date Whuffie know that it's important; but to the kids, it's the world" (22). Julius has the need to maintain his Whuffie and stay connected, or online, to the technological computer-like thing in his head. This all changes, though, and goes through ups and downs once Julius is murdered. He becomes obsessed with bringing down the person he thought murdered him. Then he forgets to back up, and soon a glitch is found and he goes offline. He would have to restore to a new body and lose months of striving to one-up the person he thinks had him murdered and months of memories lost with his friend Dan. See, Dan won't be around much longer--he intends to kill himself via lethal injection and finally end his life, once his Whuffie is back up, so he can go out on top. Slowly, Julius's mind also unravels, and his Whuffie plummets after he sabotages the Hall of Presidents. No Whuffie left, Julius only has Dan to turn to. Yet Dan is the one holding onto a secret--he was the one who had Julius murdered. The person he had stuck around for, not wanting to lose his memories for, was the person who betrayed him. Yet this last year of Julius's life, he'd changed and grown enough to realize that it didn't matter. "I couldn't make any sense of my mind. Dan, taking care of me, helping me, sticking up for me, carrying this horrible shame with him all along. Ready to die, wanting to go with a clean conscience. 'You're forgiven,' I said. And it was true" (197). He even forgives the girl Dan hired to murder him. And his reaction to her at the end shows that he doesn't hold much stock in Whuffie anymore. "I wondered if we could be friends when it was all over. She probably didn't care much about Whuffie, one way or another" (200). Julius becomes her friend and companion, and they head up into space to continue their lives together. This character growth was the core story in Down and Out in the Magic Kingdom. The science and the futuristic world were only used to aid in showing this character growth. And who doesn't like to fantasize about living in Disney World? Side Note: This book is currently available for free download through iBooks. Doctorow, Cory. Down and Out in the Magic Kingdom. New York: Tom Doherty Associates, LLC, 2003. NEXT UP: Big Hairy Audacious Goals! While I read Feeling Very Strange, I tried to but my finger on the exact definition of slipstream. To my dismay, every time I thought I found an over-arching connection, a new story I read wouldn't have that same trope used in the previous stories. The introduction of the anthology discusses Bruce Sterling's definition, the person to coin the term. I found a copy of the article while doing my internet search: "Slipstream". Sterling states: "Instead, this is a kind of writing which simply makes you feel very strange; the way that living in the late twentieth century makes you feel, if you are a person of a certain sensibility." Now, I will admit that some of the stories in the anthology felt strange to me, but not all of them. I truly think slipstream is hard to define, even with Sterling's definition, due to the fact that it's ever-changing. The "stream" in the term could refer to something that keeps flowing and changing. I think that slipstream is whatever fiction at the time that doesn't seem to fit into the normal genre guidelines. What is considered slipstream one decade may be different than what's considered slipstream in another decade. Perhaps, in time, all of the stories in Feeling Very Strange will no longer be looked upon as slipstream, but will be considered the norm for other genres and sub-genres. There was one theme that I saw in most, but not all, of the stories. It seemed to me that these stories weren't written with simple reading enjoyment in mind, but that each story had an underlying message. They leaned toward the literary side of things, in most cases, and there were a couple of stories that were lost on me because I felt I should be reading between the lines, but unsure of what I was actually supposed to find there. The Best of Slipstream Stories - They even mention in the intro of this that "Slipstream usually has a 'literary' feel to it. The authors take risks with style. Often there is a 'message.'" Is Slipstream Just a Fancy Word for Voice? - Interesting take on whether slipstream should even be considered a genre, but instead a style or voice. Slipstream 101 - Another good rundown of the genre. What's Your Favorite Slipstream Story? - This was a thread in the SF Signal archives. Someone on the thread labeled Spin as slipstream! NEXT UP: A look at Down and Out in the Magic Kingdom. SPOILER ALERT! If you have not read Feeling Very Strange: The Slipstream Anthology there are spoilers in this essay. Slipstream is a hard genre, or even style for those who would rather not claim it a genre, to define and pin down. The stories in Feeling Very Strange: The Slipstream Anthology are no different, and are hard to categorize. It's even difficult to find one major theme in all of these stories that connects them, but most of them do have a literary slant. 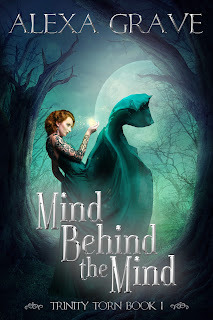 There are fantastical elements present as well, so I decided to take a brief look at three of the stories in this anthology to glance at the use of both literary and fantastical elements. "The Little Magic Shop" is a short about James, a man who uses youth potions he buys from a magic shop to stay young, only aging a year or two every decade. The cost every time he buys a potion, which lasts him ten years, is everything he owns. As James stays young, the shop changes and the shop owner, O'Berrone, grows older. The genre element in this story is obvious--the potion that sustains James' youth is the magic dash of the tale. This is the only fantastical thing, as the shop changes, and James' new attitudes are very realistic. James acts as a stereotypical person from each decade when he visits the shop. The literary implication doesn't really come until the end, in my opinion. On his deathbed, O'Berrone sells the last of his youth potion stock to James. Throughout the story, he insists rules must be followed, so he can't drink any of the potion himself nor leave the shop. James drags O'Berrone out unwillingly and has him drink the youth potion, thwarting the rules. And in essence, that's what the underlying message of this story is--tossing the rules out of the window. If James can drink the potion in moderation, to make sure he has an exceptionally long life, he avoids the rule of "with life there must come death". He ignores the rules of the universe, and if James can do that, why can't the shopkeeper ignore the rules of magic? In essence, it's also a comment on the fantasy genre itself, posing the question of why exactly certain rules have to be followed. "O'Berrone stared at it, licking his dry lips. 'But I can't...I'm simply not allowed to do this sort of thing. I own that magic shop, I tell you.' James shook his head and laughed" (26). An alien creature similar to a panther follows Paul's brother, Light, around in "Light and the Sufferer". Light is a crack addict, and the Sufferer latches itself to him, following him around. Paul thinks and hopes that it's Light's guardian angel, to help him kick the addiction, to let him know he's meant for greater things. In the end, though, the Sufferer is off cavorting with one of its own kind when Light dies--the fatal gunshot from a gun that they had many chances to discard. Again, there's really one element of fantasy in this story, and that's the Sufferer. It's introduced as a commonplace thing, though, something integrated with this world. As far as the literary aspect goes, I think the Sufferer is a physical manifestation of hope that everything is going to be all right, even if things are dismal. The Sufferer turned out more to be an angel of death instead of a guardian angel. Also, Light had the "monkey on his back" with his addiction, and the Sufferer could also represent that. Partway through the story, Paul notices, "Now that I see it up close, it really didn't look so much like a cat. The face was really more human, like the sphinx with a toothless octopus mouth" (69). Or perhaps, not more human, but more simian? That literal monkey on the back. "The God of Dark Laughter" starts out like a murder mystery. A clown is shot, and his face peeled off of him. Ed Satterlee is the district attorney for the county, so he's stuck investigating. His search uncovers information on the ancient worshipers of the god called Yrrh. Two factions, one who worships the God of Dark Laughter, and the other who worships the God Who Mourns, are bitter enemies. The clown is of the first faction, and his killer of the second. The believers of the God Who Mourns think the father-god Yrrh will only return when all of the followers of the God of Dark Laughter are dead. Satterlee is a man who denies most religions; reality and facts are his beliefs, after seeing what blind following did to his mother. The murder case is never actually solved, but the story ends with Satterlee resigning, since the case shook his core beliefs. He thought the cults fantasy, but then the coroner tells him, "He suffered from some kind of vitiligo. There are white patches on his nape and throat" (226). The clown that didn't actually need the white face paint to be a clown. It's hard to say there is any blatant fantastical element in this story, as it is really subtle. The dead clown, in essence, is the speculative touch, as well as the murderer who smells salty like the ocean and soaks his pillow with tears. They are non-human, a sub-culture that lends itself to a speculative nature. The literary device attempts to compare reality to religion. People blindly follow religion without proof. Satterlee blindly follows reality, believing it's the truth because of proof. At the end, he sees that reality is as tenuous as any religion, that what we see isn't necessarily proof of anything. "Each of us blind to or heedless of the readiest explanation: that the world is an ungettable joke, and our human need to explain its wonders and horrors, our appalling genius for devising such explanations, is nothing more than the rim shot that accompanies the punch line" (226). These are only three of the fifteen stories in Feeling Very Strange, and every one can be studied and picked apart in its own right. Most times, the genre elements are subtle, the literary elements taking precedence. These stories are only some examples of slipstream, which I really do think is more of a style than a genre on its own. And its an acquired taste--not everyone will enjoy such stories. Kelly, James Patrick and John Kessel, ed. Feeling Very Strange: The Slipstream Anthology. San Francisco: Tachyon Publications, 2006.